Pumpkins often get the majority of the attention when it comes to fall decorating, but hay bales are a versatile item that can be used when sprucing up your yard for the autumn season. We’ve compiled some of our favorite hay bale decorating ideas. Need some hay bales? For the 2017 Fall season, Hackmann Lawn & Landscape is offering hay bales for only $10 per bale, with FREE delivery when delivered at the time of any other service. Simply contact us about the service you need and let us know how many bales you’d like us to bring along! If that type of scarecrow is not your style, try using the hay as accent stuffing, like in the adorable planting pot scarecrow below. You can also work with the hay bale as a whole to create fun characters such as minions! Yes, it’s true that pumpkins dominate fall décor, but, if you can’t beat ‘em, join ‘em! Use hay bales to create different tiers to stack pumpkins on or use them as a backdrop. Get creative by painting the pumpkins and adding a ribbon or sheet of the same color to the hay bale. 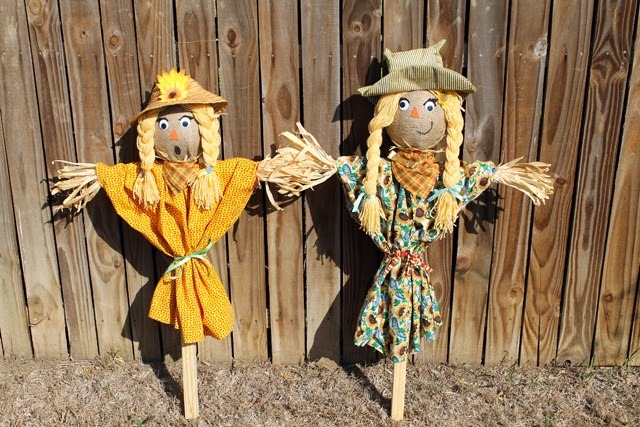 These hay bale creations look great on front porches or even as a statement piece in your front yard. There are so many great flowers to plant in the fall season, but your porch or yard may not be quite spacious enough to spread them all out. Hay bales can be used to create tiers and steps for flower pots, which will allow you to fit more flowers into smaller spaces such as your front porch. If you are planning any fall festivities, hay bales can be a great way to create a lot of seating. You can keep it simple by treating each bale as a bench, or you can get creative and construct hay bale couches or chairs. Just toss some burlap sacks or sheets over the bales to prevent itchy legs. The first photo from Lula shows hay bales being used as benches for wedding ceremony guests. The second photo from Style Me Pretty shows a great hay bale armchair. We love the use of hay bales around a firepit as well. There are so many great hay bale decorating ideas out there! Which ones are your favorite? Remember, for the 2017 season, Hackmann Lawn & Landscaping is selling hay bales for $10 each and will deliver for free with any scheduled service! Just contact us or call us at (636) 688-6647 and let us know what service you need and how many hay bales you’d like.